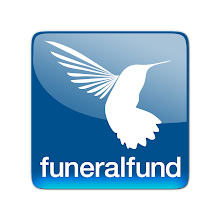 Funeralfund.com is a funeral online donation website. Ten ways that deceased loved ones will let us know they are okay. Why do we bury our dead six feet under? Jack Benny’s love story survives his death. 25 of my favorite quotes by Dr. Maya Angelou. Super Heroes Serve as Pallbearers to a 4 year old hero’s funeral. Angel of Hope arrives in Newtown,CT. Dedication Ceremony Planned. Five trends in funeral service that have been successful in 2013. Family Guy's Brian pulls off a resurrection. You can’t have it your way – at funeral homes in the northeast. Having the death talk with your child. © 2014 Funeral Fund. Simple theme. Powered by Blogger.